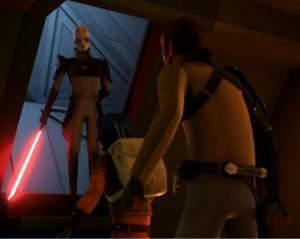 While The Inquisitor had been shown previously, we had had very little to understand of him. However, five weeks ago, he was finally properly introduced. 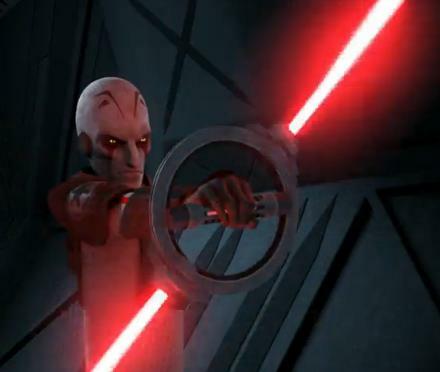 The Inquisitor was first introduced at the tail end of “Star Wars Rebels: Spark of Rebellion” and, subsequently, in the special addition of Darth Vader speaking to him at the beginning of “Star Wars Rebels: Spark of Rebellion”, we actually know quite little about him, beyond his task of hunting after Jedi. With “Rise of the Old Masters”, aired five weeks ago, we are finally fully introduced to The Inquisitor. 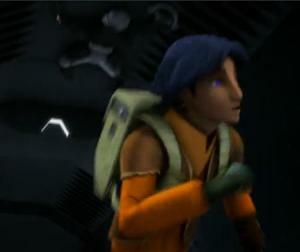 We have seen people communicating with him and him speaking very little, but this episode shows him in action. When Ezra uses his energy slingshot against The Inquisitor, it seems to barely even register any notice for him, to which The Inquisitor responds, “Is that really all you’ve got, my boy?” It is unclear why it had little effect on him – whether it was armor he had or he had some sort of immunity from it. 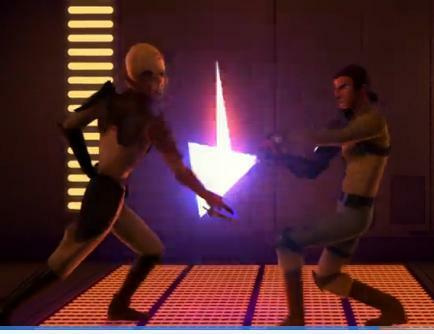 Following Ezra’s and Kanan’s escape from the detention cell, The Inquisitor calmly hunts them down and then engages in further light saber duelling with Kanan, whereupon he queries Ezra, “Are you paying attention, boy? The Jedi are dead, but there is another path the dark side.” He then continues to try convincing Ezra to leave Kanan and join him and the dark side: “Your master cannot save you, boy. 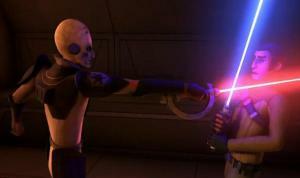 He is unfocused and undisciplined.” Eventually, he tries killing him, although Kanan is able to use the Force and move him out of the way. Once they get away, he then chases them down, starting out walking along calmly, albeit with his double-bladed light saber spinning around, eventually picking up the pace and running after them. 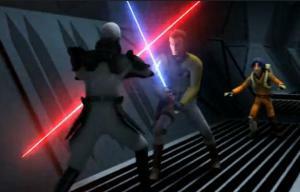 While he doesn’t quite reach them in time, he is quite menacing, nevertheless. 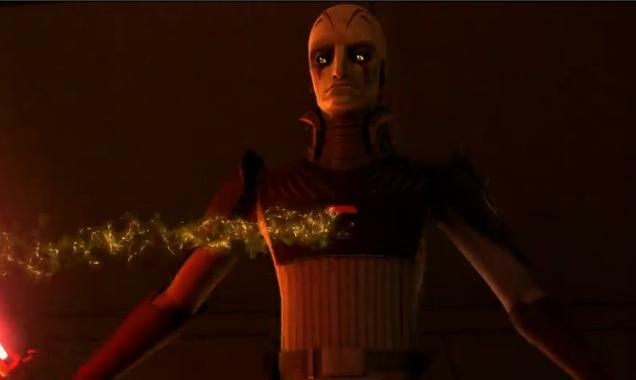 It shall be interesting to see more of The Inquisitor as Star Wars Rebels continues.